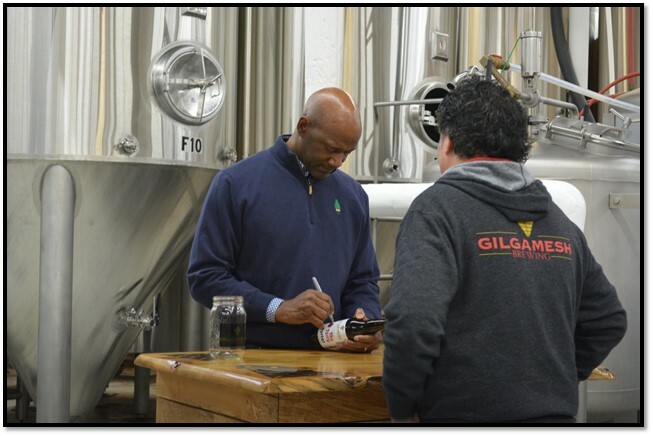 PORTLAND, Oregon (May 10, 2016) – Today Gilgamesh Brewing and its distribution partner Columbia Distributing, announced that the brewery’s limited-edition Terry Porter lived up to its namesake, becoming an instant Oregon favorite. Sales from the porter-style brew raised $50,000 for OHSU Doernbecher Children’s Hospital. The donation was recently presented to the Doernbecher Children’s Hospital Foundation at its annual “Heart of Doernbecher” dinner and auction. Brewpublic’s D.J. 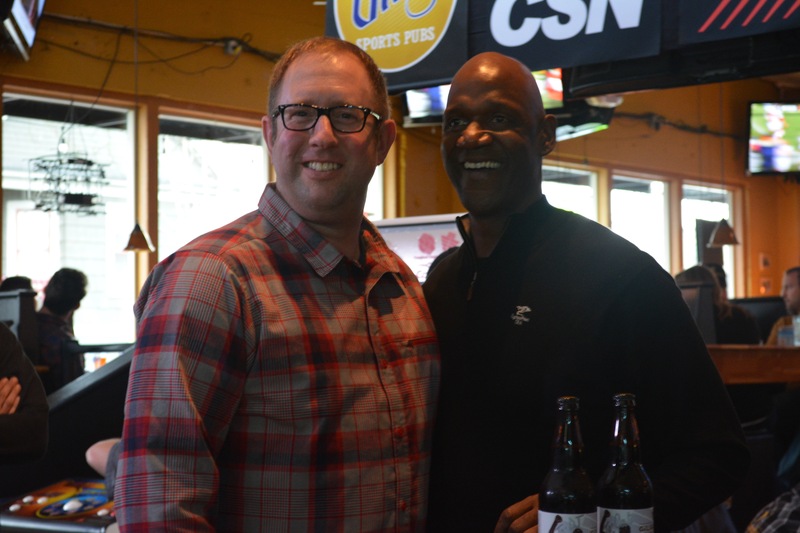 Paul and Terry Porter at a bottle signing event at Blitz Ladd in January 2016. The donation will assist the missions of the OHSU and Doernbecher Children’s Hospital to fund a five-story guest house facility at Oregon Health Sciences University (OHSU) South Waterfront campus. The project will provide housing for patients and families receiving care at OHSU and OHSU Doernbecher. Once located in the woods of Turner, Oregon, Gilgamesh Brewing has expanded and moved into a new facility in South Salem on Madrona Avenue. The three Radtke brothers, and their father, Lee, spent the summer of 2012 recreating a former grass seed warehouse into a full scale brewery. They also transformed the warehouse office building into a handcrafted restaurant featuring custom woodwork and metal fabrication. Pringle Creek runs along the covered back patio which opens up into the property’s large back yard creating a nice ambiance. The Gilgamesh motto is “a beer for everyone” and the range of selection provides the delicious proof. Columbia Distributing is one of the nation’s finest beer, cider, and non-alcoholic beverage distributors. Headquartered in Portland, Oregon, the company has been delivering the best-known brands in the beverage business since 1935. Today Columbia Distributing and its 3,000+ employees service over 20,000 retail customers covering more than 135,000 square miles in Oregon, Washington and California. The company’s success is based on the deep-rooted tradition of delivering quality products, timely service and a genuine concern for customers’ needs.